David Pinski and wife Adele lived in Manhattan (New York City) for many years. 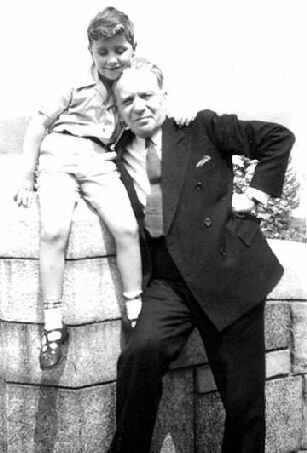 "My father grew up in the large brownstone family house at 773 Beck Street in the Bronx. I am not sure exactly when David Pinski moved to Manhattan, but the only location I can remember he and my grandmother living in during my youth was 229 West 78th Street (corner Broadway) on the 14th floor (I think) of an apartment building. I lived at 92nd Street and Broadway less than a mile away. which I have, of course." Hear Gabriel Pinski speak more about his grandfather.